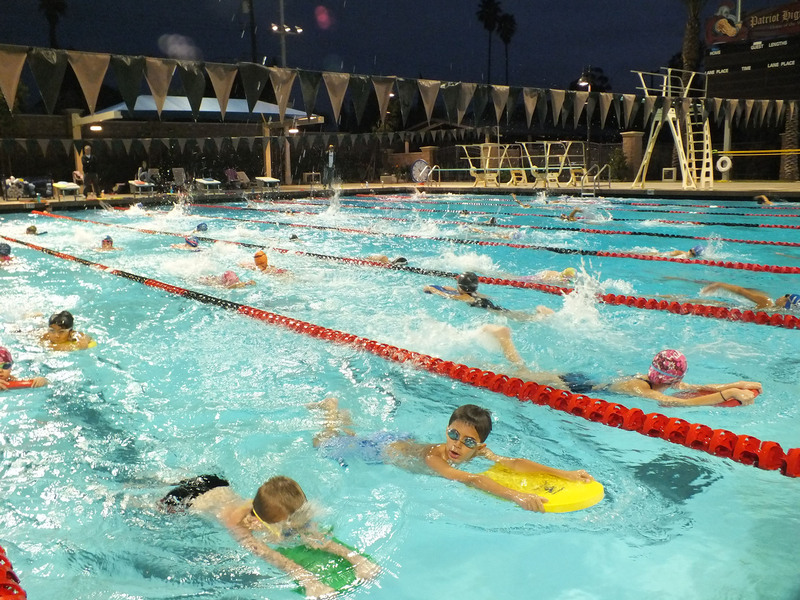 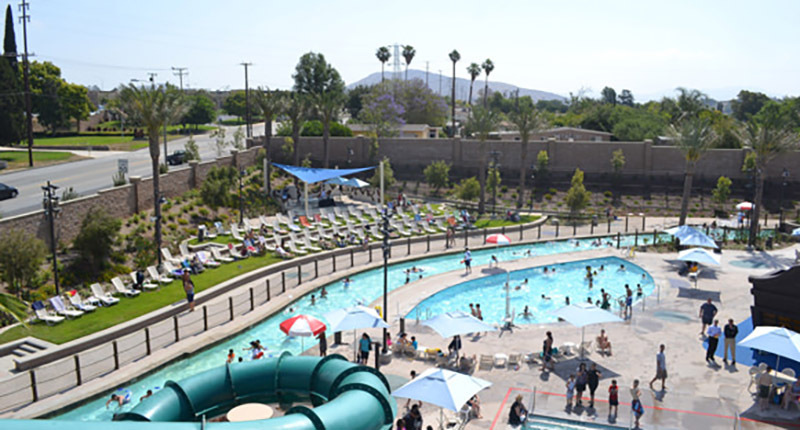 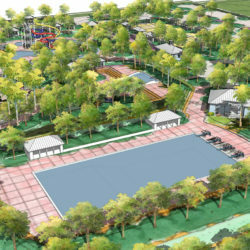 The nine acre Jurupa Aquatic Center is intended to serve as a much needed community recreation aquatic facility while providing a competitive pool for the adjacent high school. 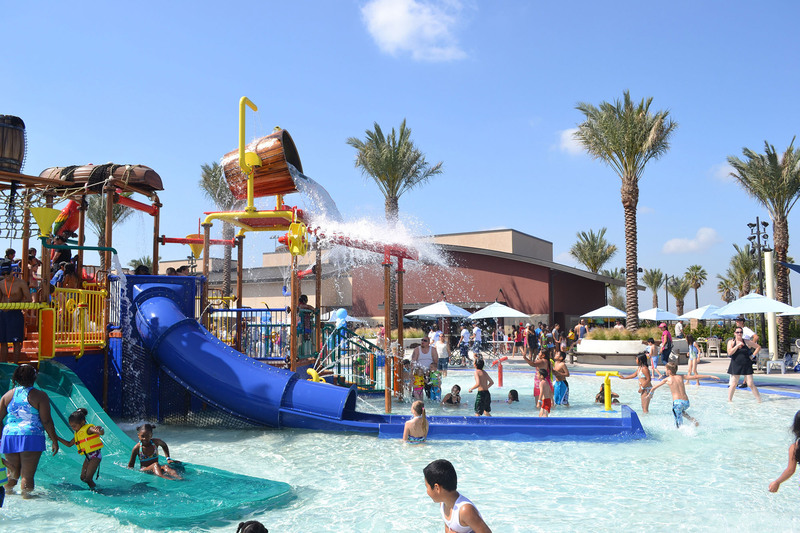 The pool components have been positioned to allow for concurrent usage while providing clear separation for diverse user groups. 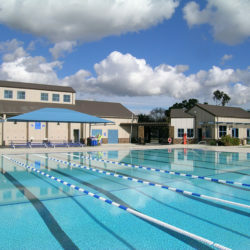 The competitive pool area consists of a 25 yd. 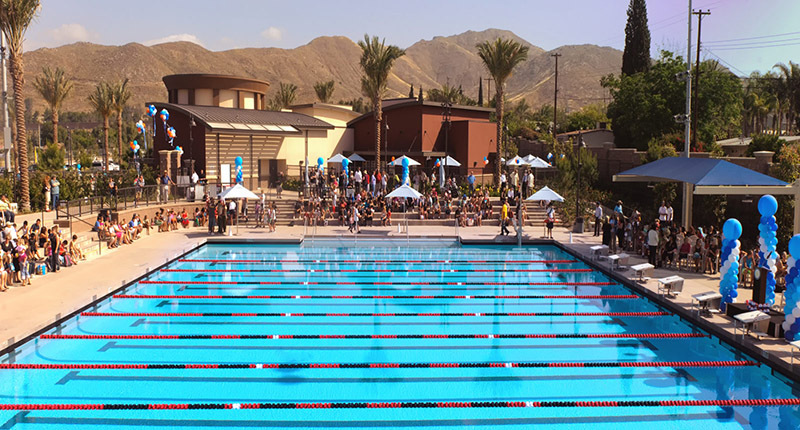 X 35 meter pool, which will provide for all high school swimming and diving competitions as well as floating goal water polo. 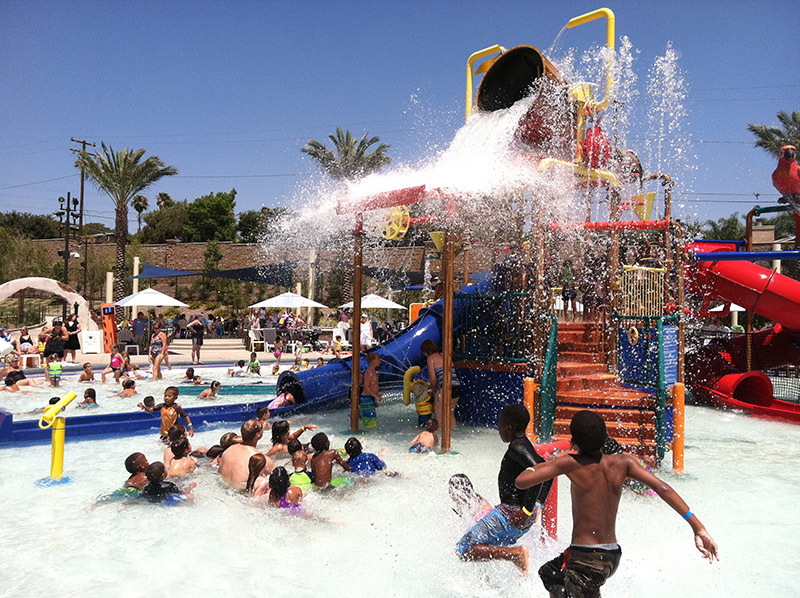 The Cove is a pirate-themed portion of the aquatic center designed to maximize potential generation of revenue. 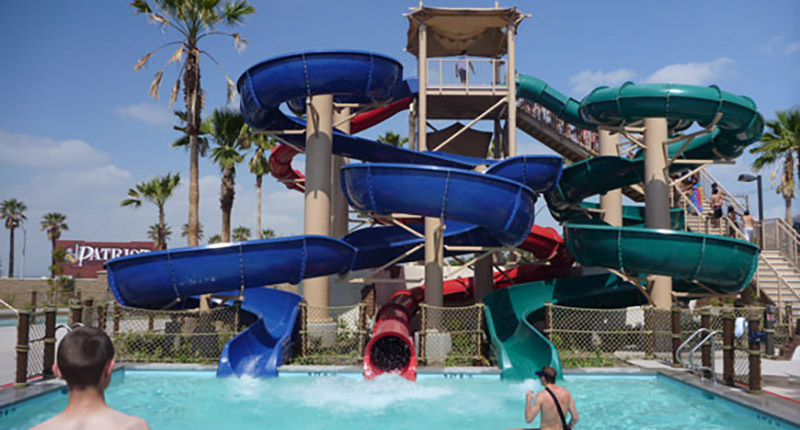 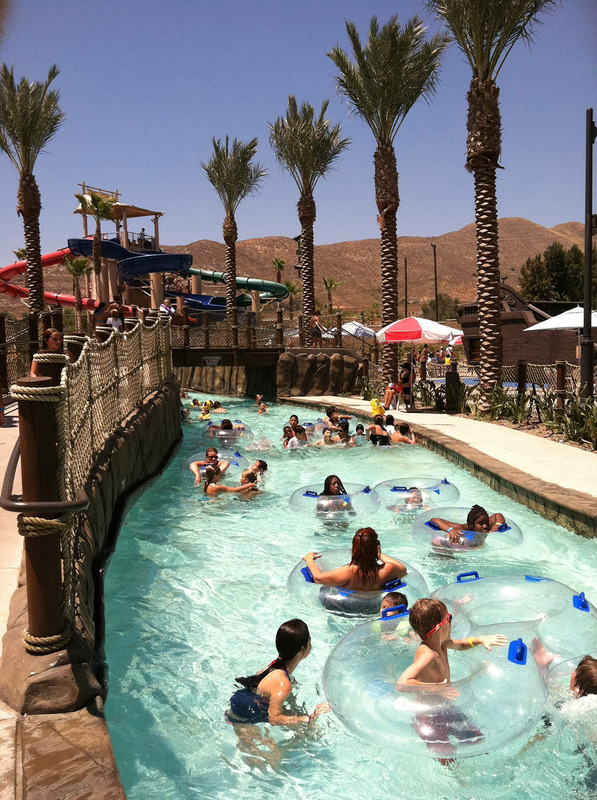 The Captain’s Bay is the centrally located activity pool; guests can also float along the Ne’er Endin’ River or descend from the 3 slides located at Crow’s Nest. 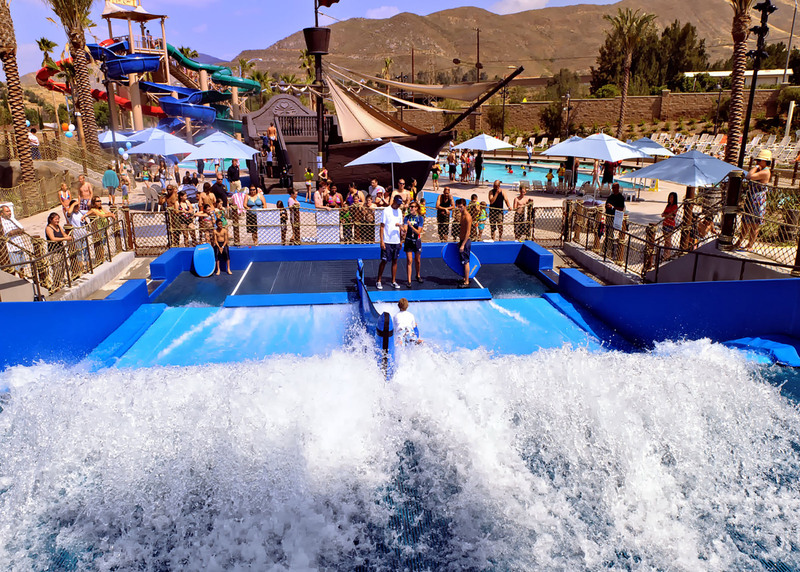 Riptide Reef offers the thrill of surfing with the FlowRider® wave attraction. 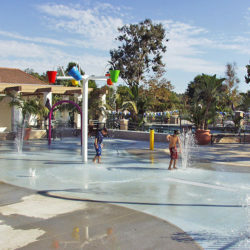 The Lil’ Mate Lagoon is geared for younger guests and consists of a pirate-themed splash playground. 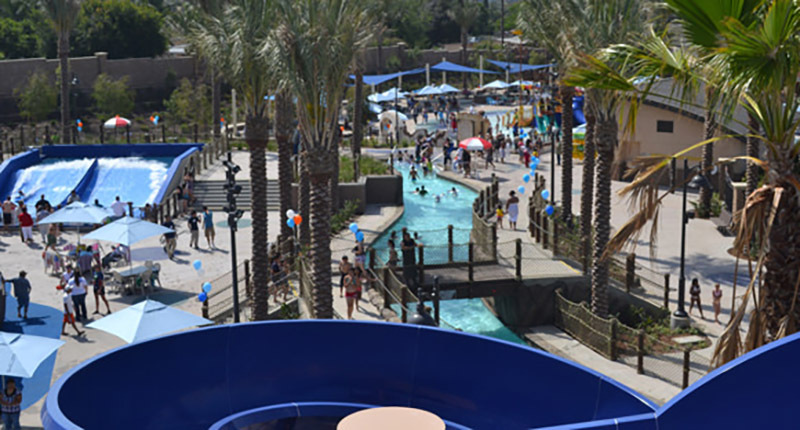 The design team included Aquatic Design Group, MCE Consultants, WLC Architects, BP & Associates, Konsortum 1, MUSCO Lighting, Water Concern, Utility Consultants of Orange County, GMU Geotechnical, Scenario Design, Commercial Kitchen Design, and K.B. 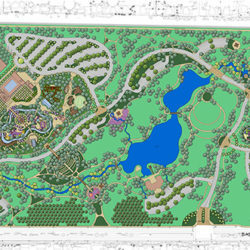 Leung Associates.